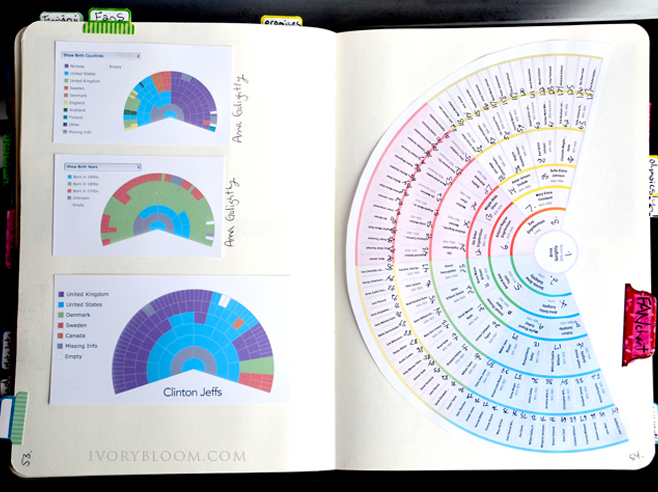 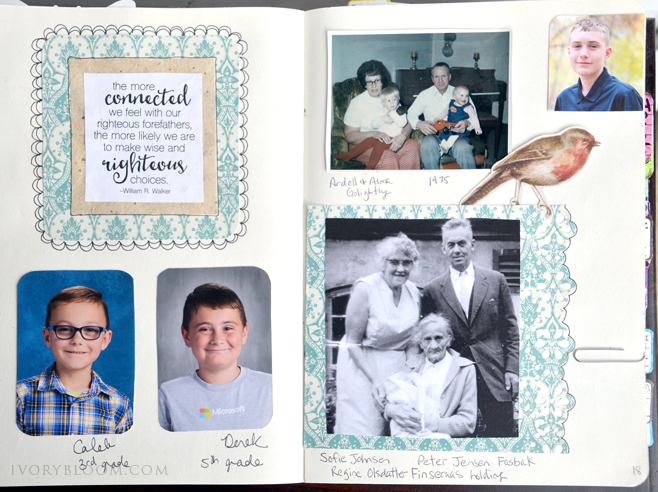 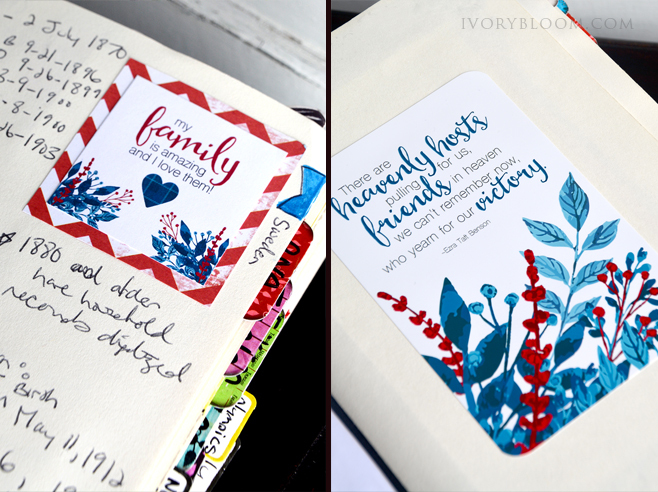 A few months ago I started using a bullet journal to document my family history research. 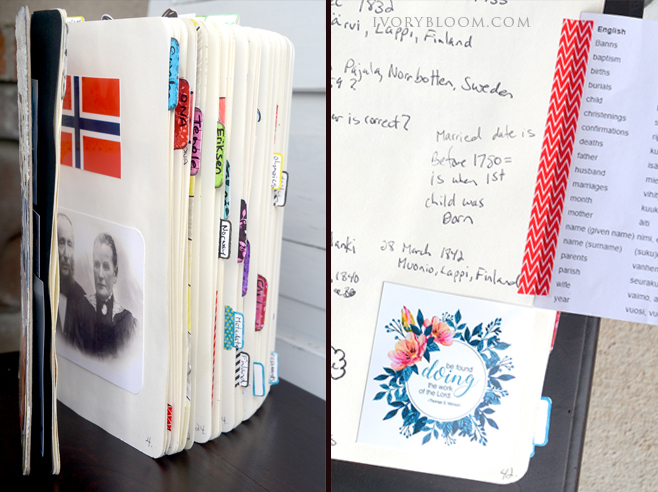 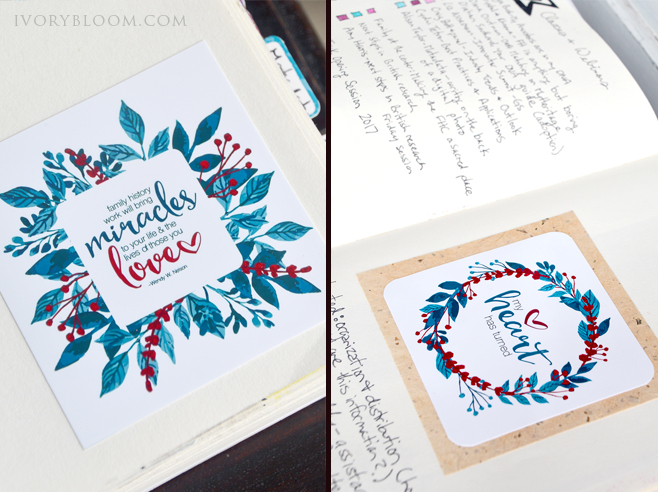 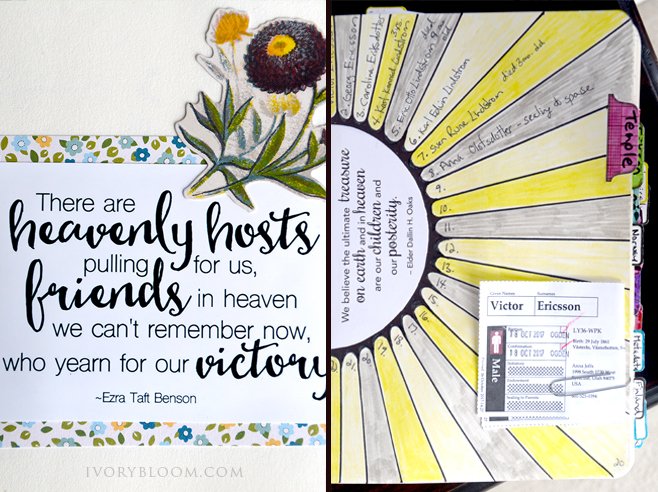 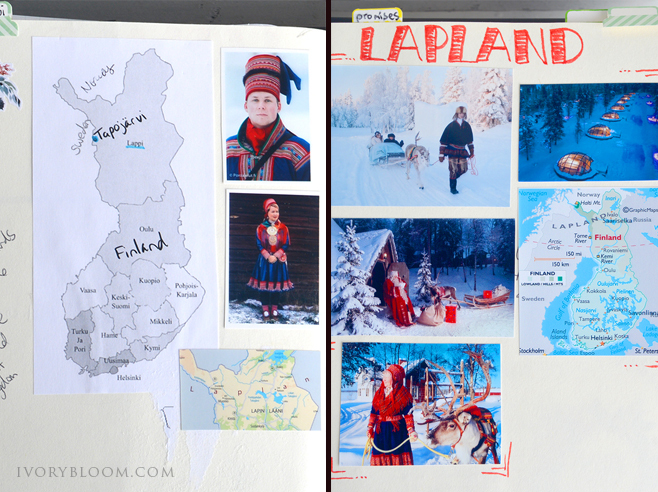 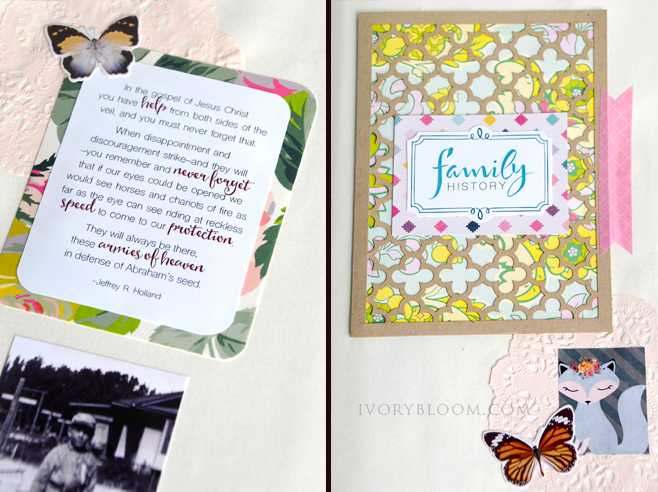 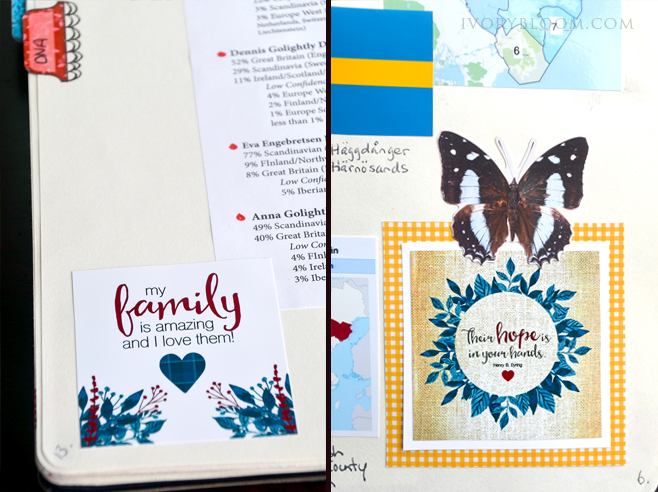 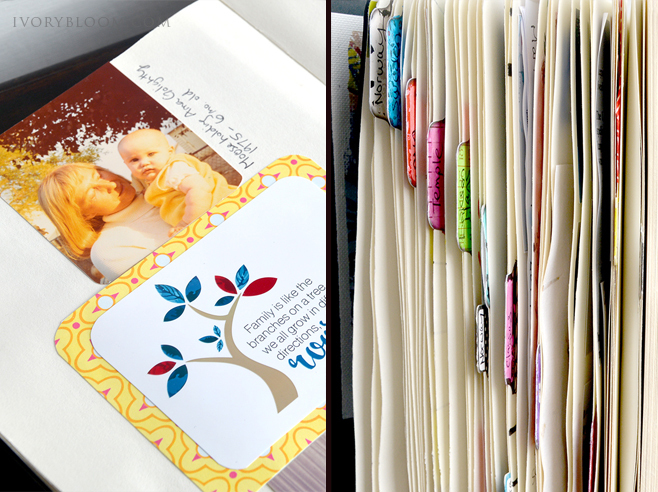 I used photographs, art, ephemera, stickers, maps, charts and more to decorate each page. 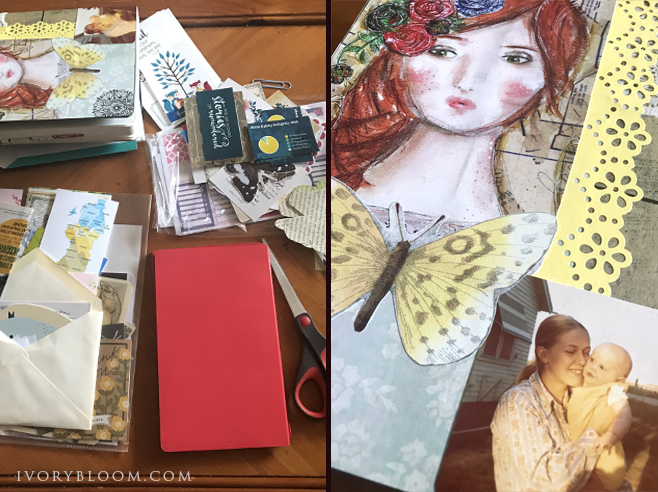 A few years ago, I attended an Art Retreat at Christy Tomlinson's home and she gave us a notebooks with her beautiful She Art portraits on them. 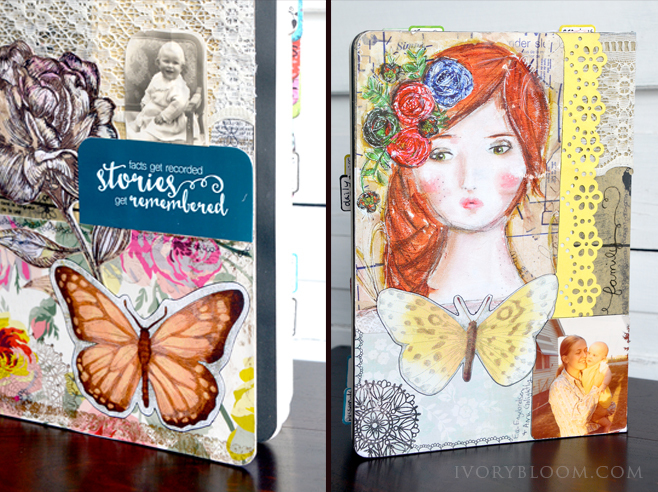 I LOVE her work and used the front and back covers in my collage. 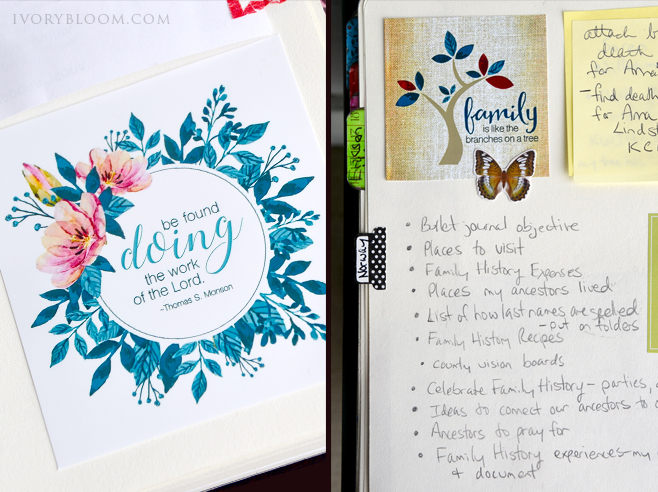 It's a creative outlet that will become a family treasure.